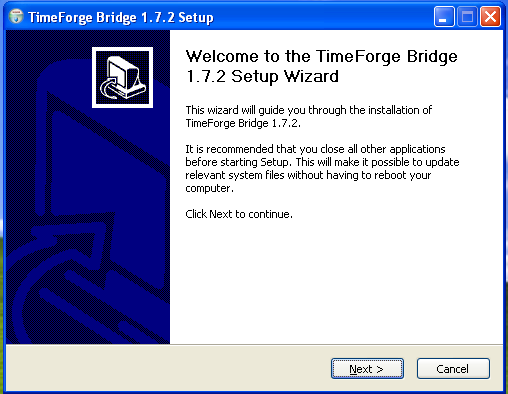 Begin installing the TimeForge Accounting Bridge software. 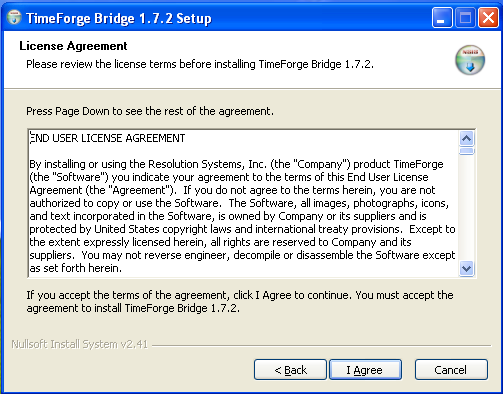 Accept the terms of the End User License Agreement. 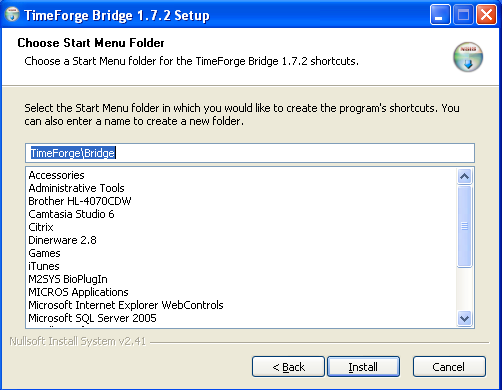 Choose a directory to install the TimeForge Accounting Bridge. The default is usually correct. Choose the Start Menu Folder to install the software. 1. If you already have a TimeForge account, enter your Web Service Username and Password to connect with TimeForge. 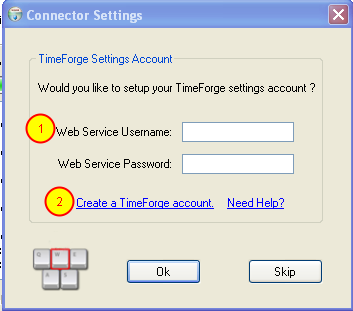 A web service username and password is not the same as your TimeForge username (usually your email address), but is a secured username and password that allows the TimeForge Dinerware Bridge to communicate with TimeForge. You can create a Web Service account by logging into your account, and go to the Settings for your location / store. You can then set your web service username and password. 2. If you do not yet have a TimeForge account, get started by creating a TimeForge account. We will create a Web Service Username and Password for you automatically. 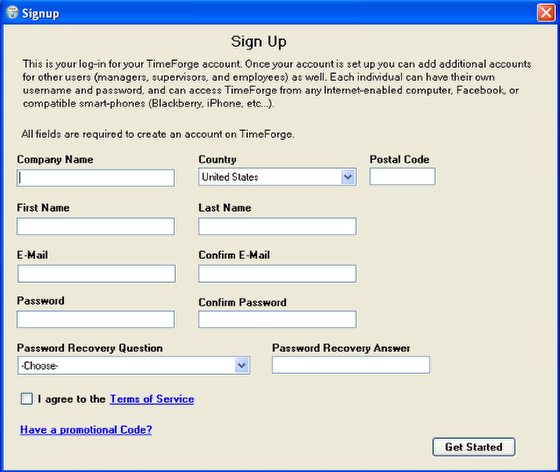 If you need to create a TimeForge account, please fill out all of the fields, including your company name, first and last name, email address, password, and a password recovery answer. We will automatically create your Web Service Username and Password for you. 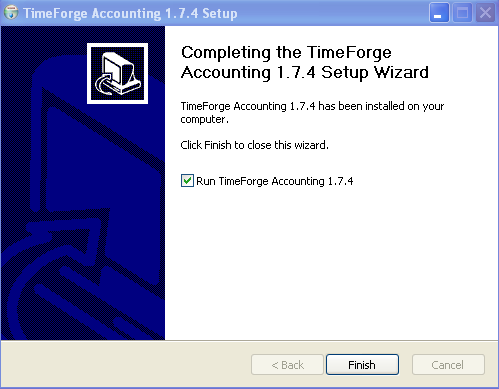 Finish the TimeForge Accounting Set up.